Weight management and nutrition are some of the most important subjects for every martial artist. 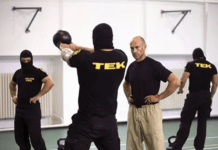 If we were to put it plainly – if a person that trains martial arts improves their diet and regulates their weight – then they will skyrocket the level of their performance. It’s as simple as that. However, things start to get a bit complicated due to the fact that there is a lot of information in the field. Some of it’s true and useful, some of it’s true but not useful – and some of it is flat out untrue. If we were to keep things going – then there is a lot of “nutrition information” that can outright be harmful to the person that uses it. Enter the world of fad diets. 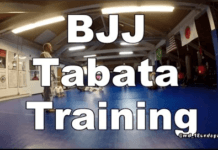 That being said, there are a few top-level specialists that have made a mark in the field of sports and martial arts nutrition. John Berardi and Mike Dolce immediately spring to mind. 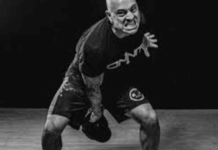 However, if there is one person that’s responsible for an immense growth in the field of martial arts nutrition – it would have to be George Lockhart. George Lockhart is the person that usually gets no credit in the public eye for his diligent nutrition work. He’s the chief nutritionist of some of the best fighters in the world. Currently, the number of fighters he’s backing up ranges around 100. Of those, 11 are world-champions. This is one of the most potent proofs that George Lockhart’s nutrition technique and advice work. He has a perfect record and none of his fighters have ever missed weight. That being said, this article is about one of the newest products made by George Lockhart himself. This is the Nutrition & Weight Management System DVD/eBook made by George Lockhart. Below you will find more information about what this incredible product can do for you. If you want to learn more about the product, then you need to first take an in-depth look at the person that created it. George Lockhart started out his career in nutrition with his work for the US Marine Corps. 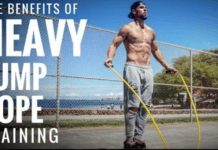 There he created a set of instructions and diets that the marines could follow in order to keep their optimal weight stable and feel good and powerful. For his work in the USMC, he received a medal. So, this already sets the scene up – as it gives George huge credentials due to the fact that he gave great nutritional advice for the marines. 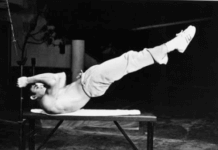 Nowadays George is a martial artist and a nutrition expert that owns his own gym. As mentioned previously, he works with many of the best fighters in the world. Some of the names he works with are the likes of Conor McGregor, Cris Cyborg, Jon Jones, and many others. 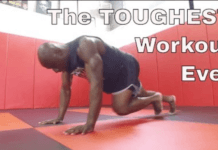 The reason why he picked martial artists for developing his nutritional science is the fact that this group of people is always in dire need of excellent nutritional advice. And to make things works – there was a lack of high-quality nutrition advice in this field. Lockhart is definitely one of the biggest (if not the biggest) names in martial arts nutrition. He’s frequently interviewed for his opinions. There are a couple of videos with Tristar’s Firas Zahabi and George Lockhart talking about nutrition, on YouTube. 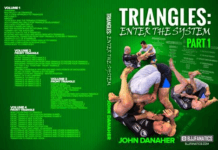 Recently, he was also a guest on the Joe Rogan’s podcast – together with none other than Conor McGregor’s head coach, John Kavanagh himself – and he still managed to take an hour of Joe Rogan’s undivided attention as the interviewer. One of the best things about George Lockhart diet is that it makes things simple. In a world of complexity where it seems that everyone strives to make things, even more, complicated – simplifying things can be thought of as a virtue. Well, George Lockhart definitely makes things simple. “sweet tooth” that many people seem to have. Accountability is very important in the system of George – and with good reason. If you want your diet to work for you, then you need to stick with it for however long you may need. If you follow his system, then you won’t feel starved at any point. Also, you may need to use some smart supplements in order to give your metabolism an extra spark when it needs it. Don’t get us wrong though about the supplements. George Lockhart is vehemently against using any PEDs and cheating the system in this way. The supplements that he recommends are free of any illicit performance-enhancing drugs. This will keep your organism’s integrity and health for a long time to come. If you want to make the most of the Nutrition & Weight Management System DVD eBook, then you need to see the DVDs and read the eBook. In the DVDs, you will first find an introduction to the system. You won’t be bombarded with trivial nutrition information. You will learn about the importance of setting goals and of sticking to the aforementioned principle of accountability. Next in line is learning more about the foundational blocks of any diet out there. No matter what you eat – you will ingest the main macronutrients: proteins, fats, and carbohydrates. You will get to know what these elements are and how exactly do they interact with your body and with one another. You will get to know how much of these building blocks you need in particular circumstances. And if you just decide to read the eBook, then you will be robbed of the opportunity to make sense of Lockhart’s nutrition system. What you will find in the book though is useful independently from the DVDs. You will find dietary plans and very tasty nutritional recipes that will keep you going in terms of improving your diet and regulating your weight. If you’re hearing about the Harris-Benedict formula for the first time – then you may think that this is something complicated. And truth be told, it is something complicated. 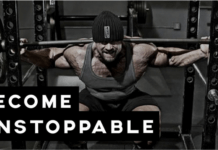 However, George Lockhart manages to simplify this formula and makes it understandable for the laypeople that don’t really have in-depth knowledge when it comes to nutrition. 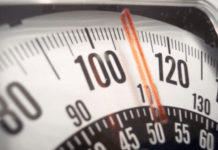 What the Harris-Benedict formula is all about is helping you determine your metabolic rate. There are many factors that could influence your metabolic rate at any moment. And truth be told, there are many different formulas on the internet that purport to help you determine it. However, what Georges Lockhart did here is introducing the important, but often overlooked, a concept of hydration. Hydration is very important in determining your overall metabolic rate and many “nutrition experts” simply forget about this. The timing of what you eat is also very important. There are many important details about the exact time when you will need to eat certain foods for optimal benefit. 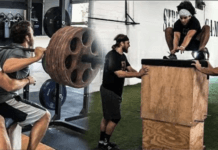 If you follow these guidelines and make a few tweaks about the timing of your diet, then you will get dramatic improvements in your performance and how you feel. You may think that this is not something that you can afford. The price for this big product is reasonable enough – and it’s not something that anyone with stable income can’t afford. What makes this course so valuable is that you will get your money’s worth down the line. You see, there are thousands of supplements that are sold on the market. Sadly, a big portion of those are ineffective at what they purport to do – and some of them can outright harm your body. Where George’s system shines is in the fact that he only recommends a handful of useful supplements that are proven to work. In this way, you can even save money down the line by not overspending on useless supplements. If you go through Lockhart’s system, you will get to know how to stave off those unwanted pounds. 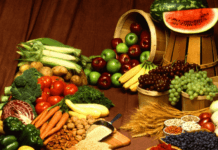 You will get to learn how to use various tactics for increasing your endocrine system’s response in a natural way – and shedding those excess pounds rather easily. The best thing about it is that you can still indulge yourself once in a while with a piece of junk food if you follow this system. Weight loss is at the center of what George Lockhart is trying to do with his system. To that end, you will also find a lot of information on healthy and delicious recipes that are to be found in the eBook portion. If you’re hungry then you can cook some of these easy recipes and have a great, healthy meal that won’t make you fatter or sluggish. 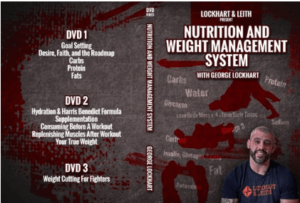 George Lockhart’s Nutrition & Weight Management System DVD/eBook is one of the top pieces of advice that you can find on the subject of martial arts nutrition. It’s jam-packed with rock-solid information that will keep your body and mind in optimal shape. Your best bet is to buy the system and begin using it. Stick to it and you will see dramatic improvements in how you look and feel.